The biggest catalog for solar material and photovoltaic equipments. If your a a solar professional, in France or Africa, a qualified installer or a reseller and you don't have a account yet : contact us ! a privilegied access to all our prices from our online catalog. Enjoy aswell our clearance products : small prices for limited quantities. select the products and quantites required and easily make your request for quotation. 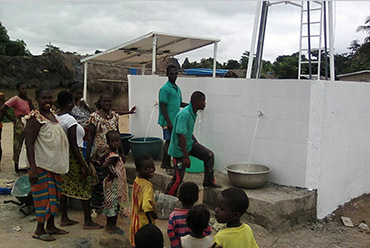 Solar pump specialist SINES is classified as an equipment supplier, leader on the African continent. 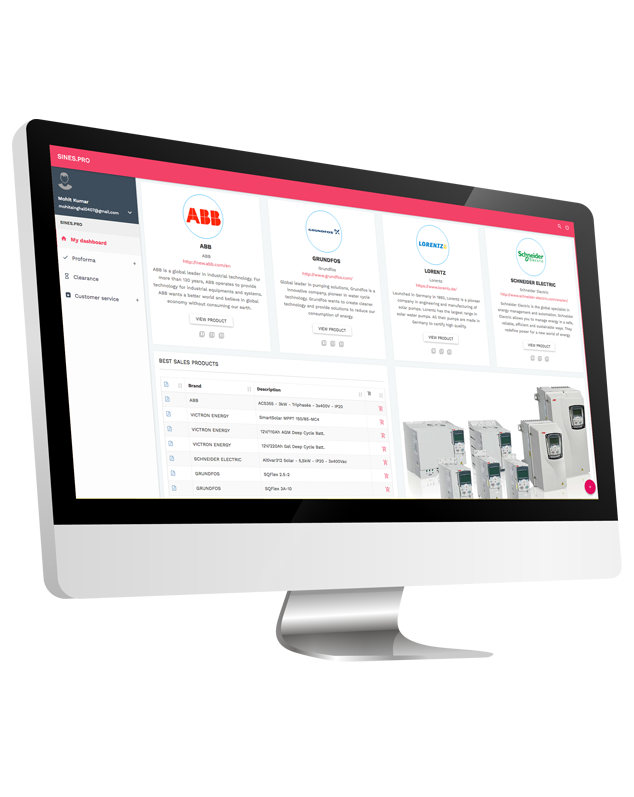 With a unique expertise, SINES provides efficient and reliable solutions at the best prices. Uncompromising quality of the materials distributed, and eager to enroll our services in the long term, we have chosen to work exclusively with solar leading brands. Professionals, find every solar equipments as you need for your installations and varied projects. As for 1, 10 or 100 pieces, if you want our products : we offer your the possibility to order and be delivered where you want. We collabor with reliable partners, able to assure exportations through the world in a promptly way. 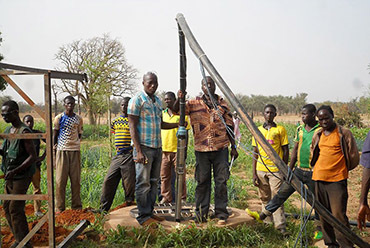 The pumps are installed in boreholes or wells, submerged below the water level. Discover Grundfos SP pumps. Pumps supplied for pressurised irrigation systems are perfect for sprinkler irrigation and drip irrigation. A reliable water supply with solar energy. We can provide submersible pump like Grundfos Sqflex, Lorentz, Aquatec etc. Converting the DC power output from the solar panel to AC power supply for pump operation. We provide Grundfos RSI, Altivar 312 and ABB ACS355. Accessories and spare parts. 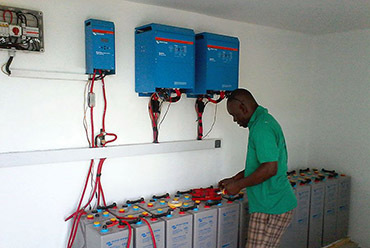 To install your pump easilly, we provide accessories like solar cables, MC4, electrical terminals. 1. How can i get an access for SINES.PRO ? Ask our team through the form below. Then you will receive an email with your login informations to acess to SINES.PRO. Please fulfill carefully the form below to receive quickly your SINES.PRO account. 2. What would I access by opening an account ? 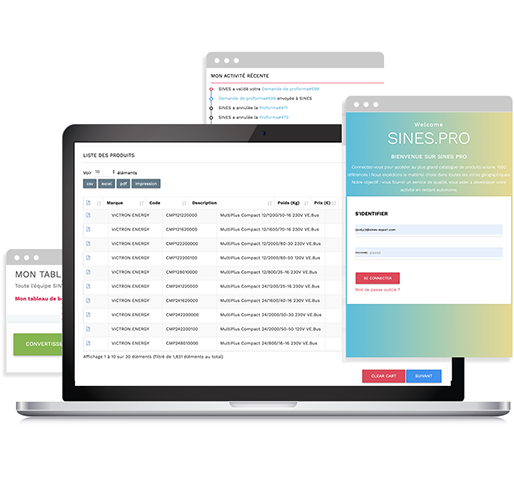 On SINES.PRO you will get an access to all our online catalog. You can make a request for quotation in few clics. Also you will get an access to our clearance products : products with small prices in limited quantities. Finally, you could ask our customer service if you have a problem with one of our received products. In SINES company, human aspect is primary, that's why you could exchange with our team anytime. 3. Is the opening of an account free ? Get an access on SINES.PRO is entirely free. SINES provide adapted solutions to every solar pumping application. We have all the powerfullness of SINES group to provide a great solution to meet perfectly your needs. To help you through your project, we offer studies, solar sizing, project management, supervision, professional system engineering, single component delivery or delivery of tailored packages.